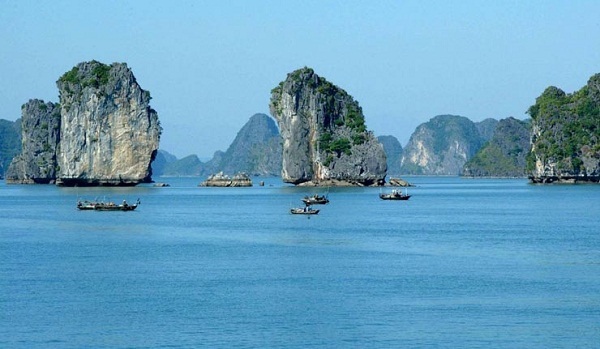 Amid the imposing limestone and beaches area, there are three small mountains emerging from under the ocean, with the height of 23 m, seen from afar, resemble three peach (Ba Trái Đào). That’s why we called that place is Three peach beach. 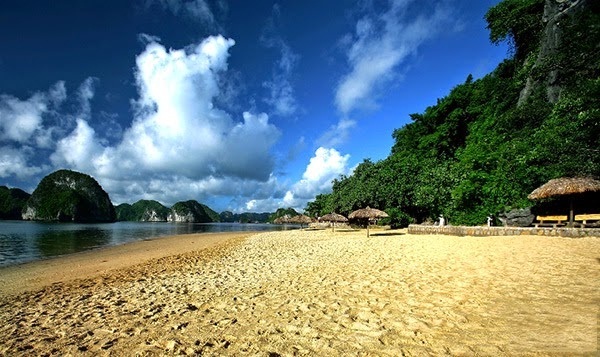 Three peach beach is one of the most famous beaches at Halong bay. The beach is about 22 km far from Bai Chay cruise port to the south east, near Cat Ba island. Three peach beach is wonderful beach because It still keeps pristine beauty of nature and cool weather here. If you travel by helicopter, this beach looks like a natural scenery picture. Three peach are three small mountains with the height of 20 m. The destination connects to a legend about romantic love between a youngest fairy that was very pretty with a young and poor fisherman. Because fisherman is not a fairy, the youngest fairy had stolen three peach from heaven for him that if he ate, those peach would give them opportunity to live together forever. Unluckily, the king of the Heavens discovered the youngest fairy’s robbery and changed those peach into three mountains. And then he commanded that the youngest fairy had to return to the heaven immediately. 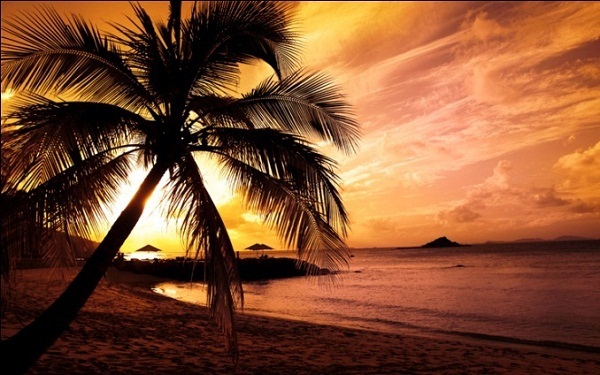 However, it is not wherever the tourists visit Three peach beach; they can contemplate the beauty of the beach or wallow in clean water here because the increase of tidal volume will plunge all things into the sea. Therefore, if the tourists would like to go swimming here, please check the tidal calendar carefully. 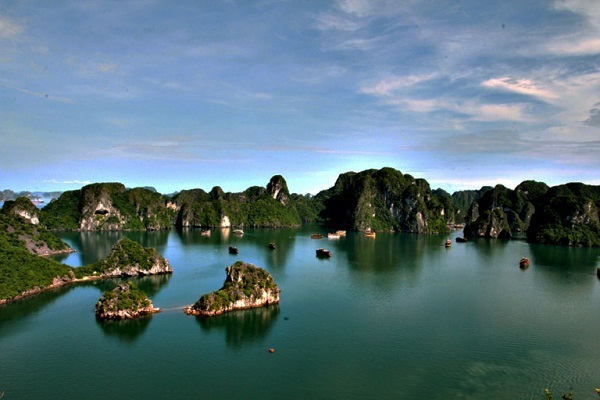 You can always have a sightseeing of Three peach beach whenever you travel Halong Bay all year round. 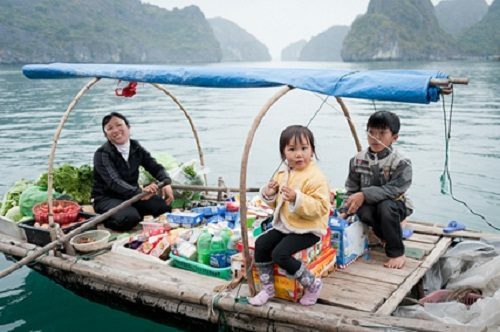 It is easy to book a tour for Halong Bay even from Hanoi or online. 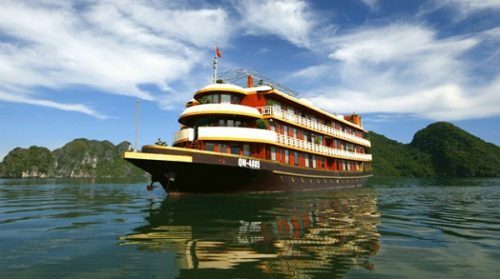 You can book a day and a night cruise on a boat traveling around the bay such as Halong cruises, Halong tour, Halong bay trip, etc. Pre-booking via a travel agent or your hotel in Hanoi will be a good recommendation for you to have much safer and cheaper option.